South Africans break world record for most people crocheting in one venue simultaneously for the longest time. Charity organisation, 67 Blankets for Nelson Mandela Day, in collaboration with Mozart Music Festival, broke the Guinness World Record for the largest number of people crocheting simultaneously at a single location at the Linder Auditorium at Wits on Sunday, January 27. 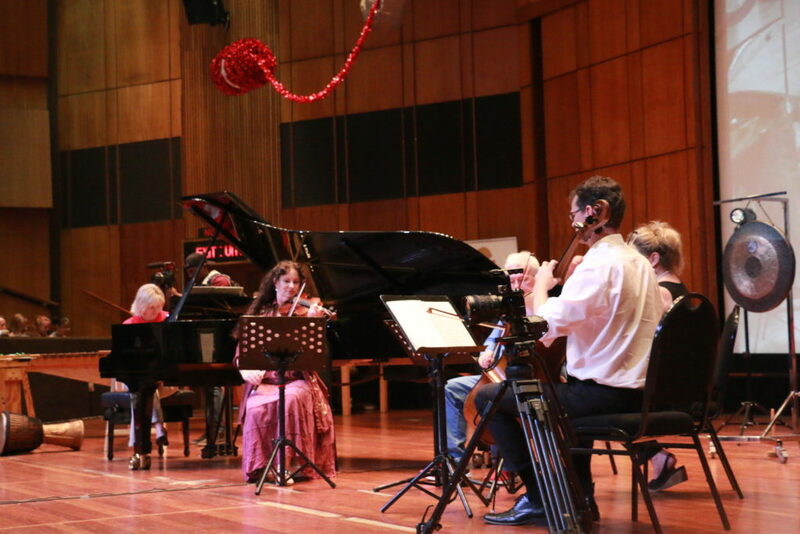 The event, called Mozart for Mandela, was in celebration of 67 Blankets for Mandela’s fifth anniversary. The aim of Mozart for Mandela was to have as many people as possible crocheting for 27 consecutive minutes in commemoration of Mandela’s 27 years in prison. This year’s record breaking attempt, which coincided with Mozart’s birthday, saw young and old come together to contribute their time and efforts in the name of giving back to the community. Groups of participants were provided with colour-coded balls of wool, and each person had to crochet “a square (or squares) measuring 20cm by 20cm”, according to the organisation’s website, which would then make 16-and-a-half blankets if all participants made one complete square. The Johannesburg Festival Orchestra and the Jeppe Girls’ High Marimba Band performed live on stage and kept the 737 qualifying participants entertained while they crocheted their way into the Guinness World Record. 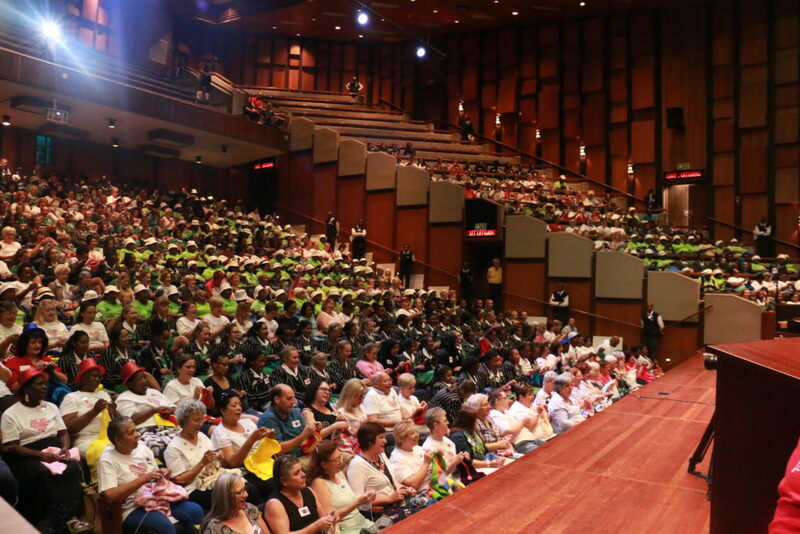 “Independent witnesses”, Carolynne Waterhouse and Peter Grealy, made the announcement to the gathering that the Mozart for Mandela participants had indeed broken the Guinness World Record for 737 people crocheting for 27 minutes nonstop. Among the participants were pupils from Jeppe Girls’ High and Norwood Primary School, along with their parents and teachers. “I think it’s important for young women to understand that there are people less fortunate than themselves and also to get involved,” said Yvette Searle, a Jeppe Girls parent. Approximately 108 elderly women also participated and donated non-perishable goods for Wits Citizenship and Community Outreach. The organisation is no stranger to record breaking events for change. Last year, 67 Blankets made its way into the Guinness Book of World records after knitting the longest scarf in the world which measured approximately 29 kilometres.